‘Tis the season to stock up on reserve wines for gifts and festive feasts! We’re hosting our biggest sale of the year on November 10th, our 8th Annual Reserve Sale. 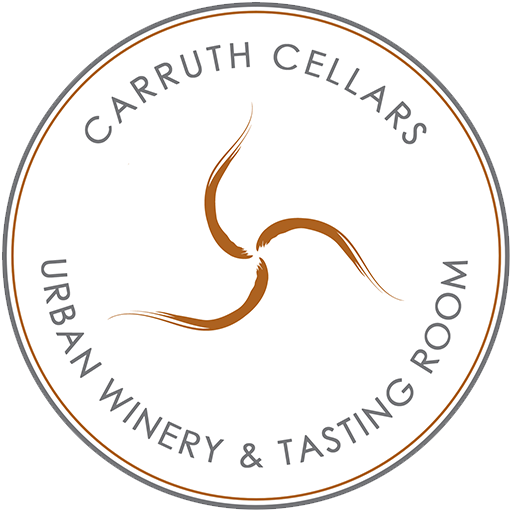 Once a year Carruth Cellars digs deep in storage and pulls out limited and award winning wines for their most beloved sale of the year. This is your chance to stock up on bottles for the holidays! Be it sharing special wines over holiday meals or gifting a rare bottle for your wine loving friend — this sale is a one stop shop for your holiday wine wishes. Carruth Cellars doesn’t host sales too often, but when they do they go big. Award winning wines can be found for 30-50% off. Other award winners and local favorites can be found up to 50% off! It pays to be a wine club member (extra discounts), but have no fear. The non-member discounts are still worth it. 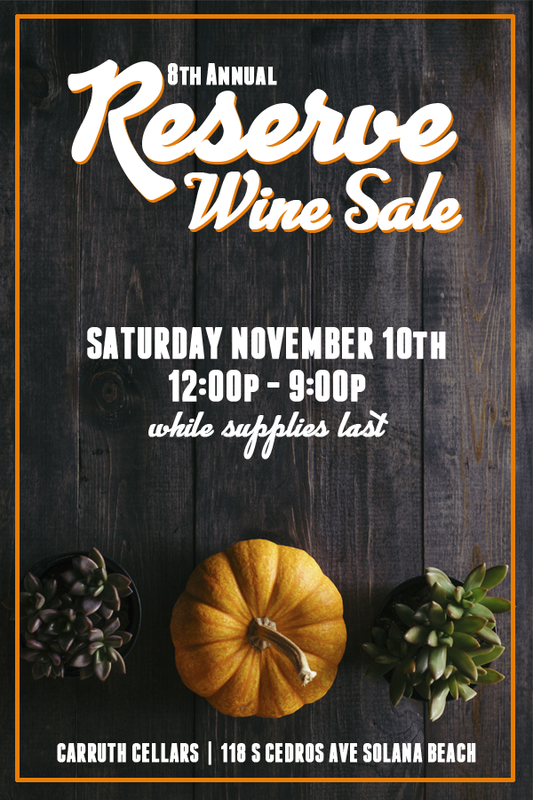 Should you want to indulge your inner wine-o, you can sign up for the club at the sale and take advantage of the extra incentives! 12:00pm – 9:00pm, while supplies last!